This definitive guide covers commercial and residential geothermal heating, ventilation, and air conditioning technologies and explains how to take advantage of their money- and energy-saving features. 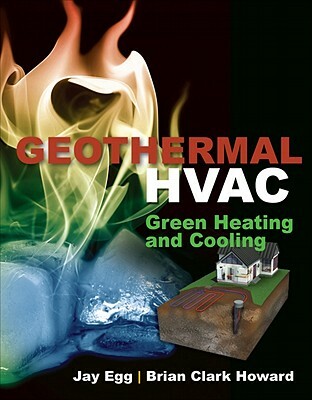 Geothermal HVAC: Green Heating and Cooling reviews the array of choices currently available, offers market values for systems based on varying options and conditions, and describes how to pair the best systems for each application and budget. Whether you're a contractor or a consumer, you'll find out what you need to know to implement a geothermal HVAC system in a retrofit or new construction project, and start benefiting from this sustainable, affordable technology. Jay Egg is a certified geothermal designer and founder of Egg Systems, an HVAC services company focused on geothermal technology. He is a sought-after expert on geothermal HVAC, and his team has written hundreds of web articles on the topic. Brian Clark Howard is a Web editor with the Daily Green, a division of Hearst Digital Media. He writes and edits articles and blogs on earth-friendly topics, and is syndicated on Yahoo!, MSN, Huffington Post, O (The Oprah Magazine), and others. Brian is the coauthor of The Whole Green Catalog (Rodale Press 2009) and Green Living: The E Magazine Handbook for Living Lightly on the Earth (Penguin, 2005).